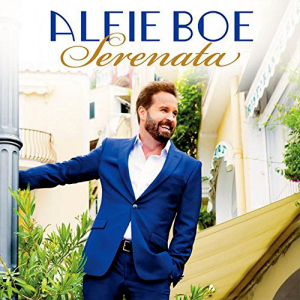 Serenata is the latest offering from Britain’s favourite tenor, Alfie Boe. With this album Boe manages to bring the magic and romance of the Italian Riviera directly into our homes. Serenata, meaning ‘to sing in your honour’, is a wonderful collection of romantic Italian songs, which are all perfectly suited to Boe’s instantly recognisable voice, full of emotion and passion but also very powerful and evocative. As the interest in nostalgia continues to grow, particularly for these hugely popular tunes, Boe reminds us of the extraordinary impact that these Italian songs have originally had upon the waiting world. This latest album from him comprises many well-known and much loved Italian songs including My Heart Is Yours, Buona Sera, Feneste Vascia and the gloriously romantic Arrivederci Roma. All of which are given that special adaptation as only Alfie Boe can and go to showcase exactly why he has become the biggest-selling British tenor of today. His choice of songs included on Serenata is interesting, and whilst most of them will be familiar to many listeners, they are not songs that have been sung to death by other performers. What is interesting is that they are also songs that have a particular significance and meaning to Boe personally, which adds to the feel and overall emotion of each piece. Every song on this album is ideal as they allow him to portray all of the characteristics in his voice and for the listener; it is so very easy to get caught up in the mood of the piece. This album is so varied in its style of songs that it has something which will appeal to everyone. There are the romantic ballads such as Firenze Sogna and Serenata Celeste and then there are the more poignant ballads such as Chitarra Romana, and Non Ti Scordar Ti Me. Each song is sung with pure heartfelt emotion which really highlights the beauty of both the music and lyrics. When you are faced with an album that contains so many wonderful songs, it is always very difficult to select just one favourite. Each song is beautiful in its own way and those who purchase a copy will find that they can connect to each of the songs in different ways, because they will evoke special meanings and memories. However, for me my personal favourite is Mambo Italino which I feel encapsulates the whole feeling of Serenata. 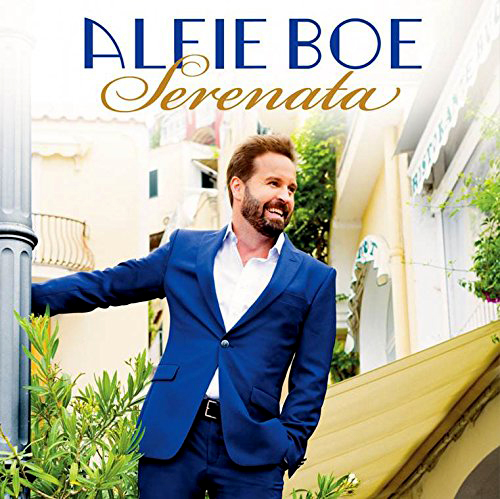 The one thing which I can say without any fear of contradiction is that, Alfie Boe’s Serenata will bring many hours of listening pleasure and will delight both old and young alike. Take it from me, you will not be disappointed.